Situated in the bustling part of Jaipur, Hotel Gumaan Heritage ensures its various travelers an iconic experience. 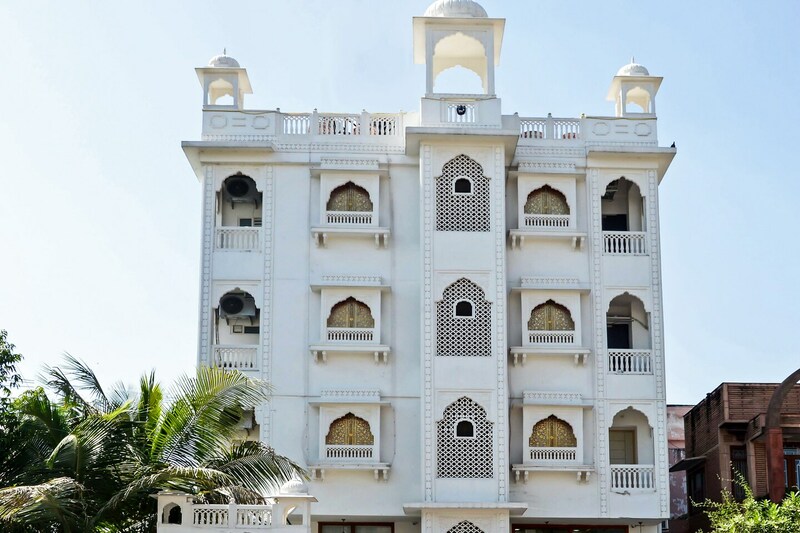 The hotel stands out with its exteriors which has a huge Mughal influence and the reception reflects the glory of the city. The property offers modern rooms with a regal combination of comfort and vintage furnishing. The combination of Moroccan and Mughal motif ceiling stands out in the room. The spacious rooms reflect the traditional wood work and designs. Guests can avail various facilities like free Wi-Fi, power backup elevator, and card payment. The rooftop dining area, overlooking the city, is a fancy place to indulge in fine local cuisines from the in-house restaurant. The banquet hall is available for the guests to use.